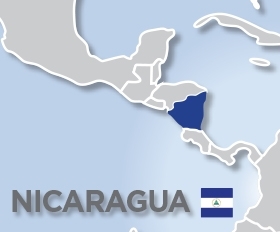 Taiwanese consortium Dong Jyu Group has showed interest in investing in Nicaragua during a meeting with government representatives, according to news agency EFE. The talks were about expanding investments from existing projects tied to mining, housing, food, agriculture, among others, building on solid relations between Nicaragua and Taiwan, the report said. Media attention on the government of President Daniel Ortega in recent weeks has largely focused on the nation's persistent sociopolitical crisis, particularly movement in the OAS and by the EU to apply pressure on Ortega to find a peaceful resolution in adherence with international human rights standards. Dong Jyu Group chairman Donald Lin Tung-Lung attended the meeting with Ortega's son Laureano Ortega, who is an adviser of the government's investment and export agency (ProNicaragua) and vice president Rosario Murillo, according to the report. The meeting follows the Dong Jyu Group's announcement last week pledging US$200mn in investments related to mining, food processing, agriculture and herding in neighboring Honduras. Taiwan has had a closer approach with Nicaragua in the last year, even as neighboring nations have moved into the Chinese fold. El Salvador severed ties with Taiwan in August to align itself with China, joining 177 nations at the time that had approved a UN resolution recognizing the existence of a single China that includes Taiwan. With the move, El Salvador became the third Latin America and Caribbean nation to sever ties with Taiwan in a little more than a year, with the Dominican Republic ending relations on May 1 and Panama breaking ties in June 2017. Meanwhile, the list of nation's supporting Taiwan has fallen to 17, including Nicaragua. In recent days, the Taiwanese government also extended a 2019 scholarship program to Nicaraguan students who wish to pursue their undergraduate, master's or doctoral studies. In mid-January, Nicaragua carried out a strong promotion of its territory as a tourist destination in Taiwan. Taiwan finances 27 projects in Nicaragua in areas of food production, fruit crops and raising high quality pigs, among others. The value of Taiwanese cooperation in Nicaragua ranges between US$30mn and US$50mn, according to the EFE report.